The first step to holding an open house, is to properly and effectively promote it well before the date that it’s to be held. Buyers are constantly lurking on the internet for listings, so starting there is a great way to get as many potential buyers to show up as possible. For the day of the open house, go out for a few hours before its scheduled to start, and plant signs all over town. Depending on your neighborhood, you’re going to need to create your signs to a design that reflects where you live, the home itself, and the type of buyer you are trying to draw in. For example, if you’re home is located in a high-end neighborhood, and you’re looking to attract high-end buyers, not bargain hunters, then creating and placing signs that are both specialty and company-branded through your real estate agent will be the perfect attraction. Even though signs aren’t a newly modern way of promoting your open house, they are still effective if you create them the right way and have proper placement. For the description portion, make sure that it’s easy to read by separating paragraphs and using clear, concise words with no errors, that you’re perfectly spelling every detail of the house out, and that you go over the description with your real estate agent before you post it, just so he or she can make any necessary changes before it goes live on your Facebook page. This creates somewhat of a virtual open house, but should only be long enough to catch a potential buyer’s eye. If done right, this will attract more attention and curiosity towards your home, so potential buyers will want to come to your open house to see everything else. Carefully go over and fill in all of the fields given, click Save, and you’re done! Even though the majority of real estate agents do not recommend using Craigslist for real estate listings in general, don’t ignore it’s use. Craigslist is one of the oldest websites used for every category of listings under the sun, but make no mistake, it’s still one of the best marketing tools that you can use to your advantage when it comes to marketing your home with an open house. The headlines that go into listings are extremely important on Craigslist, so ensure that you create one that will immediately catch a potential buyer’s eye, such as, “Open house for a 5 bedroom with ZERO DOWN!”. When you go to post a listing on Craigslist, all you have to do is create a catchy headline, input all of the location details, add a couple of pictures, and write a full, clear description within the text box about your open house, and you’re done! As like before, have your real estate agent check everything over as soon as you’re finished, so you can add or change something right away after it’s been live, so there’s no confusion from potential buyers. 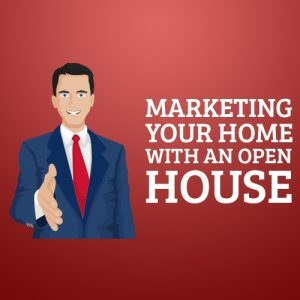 While almost everything done in real estate is done online these days in terms of marketing, direct mail is also a great offline way to get the word out about listings and their open houses. Potential buyers surfing the web won’t always see your open house listing, but if you have direct mail sent directly to them, you’ll no doubt have a great turnout for your showing! Your or your real estate agent’s email address, for the potential buyers who like to speak to owners or real estate agents through email, or keep things in writing in general. Go with a larger postcard, from the dimensions of 5.5″ x 8.5″ in size, just so it will easily catch potential buyer’s eyes straight away, purely from the size. Include some graphics that will really grab the potential buyer’s attention. When it comes to keeping the cost down, considering using direct mail can get pretty expensive if you don’t know how to do it properly, there are many things that you can do to ensure that your costs will be reduced, but your open house postcards won’t suffer for it. For example, if there is a festival scheduled for a certain weekend, then you should definitely hold off until it’s over, or wait until there is a weekend with very little going on locally. After all, social media is extremely important when it comes to real estate in general, and the majority of potential buyers will always look at a listing, even if it’s for an open house, online before they physically go and see the home or the property. Place “footies”, a wrap made out of non-slip material that covers socked feet, underneath the sign for them to put on, instead. This includes children’s drawings and paintings, family portraits, wedding photographs, etc. You should also remove pets and any litter boxes or pee pads, too. As a major precaution, do not be alone in the home during your open house. Have your real estate agent, a family member, or a friend with you, even if it’s more than one person. Ask your neighbors to come over, or invite any buyers that they know of. Not only is this a safety precaution, but it’s an added marketing trick in disguise. Tell your neighbors that there will be food and drinks, and you’ll definitely have some company.